Abby believes that best design creates no waste for the user—wasted materials, wasted time, or wasted energy. She brings her experience in data visualization and the Internet of Things to create streamlined solutions. She is passionate about making data actionable and accessible through intuitive software design. Abby draws from her environmental engineering background to design solutions that remove the perceived tradeoff between sustainability and convenience. Abby finds that accepted solutions to environmental problems tend to involve infrastructure shifts, working around humans instead of with them. A common example is motion-sensitive lighting, which attempts to reduce energy consumption at the expense of user control. The EDI program’s focus on human-centered design will help her design products and systems that shift this paradigm and empower users. 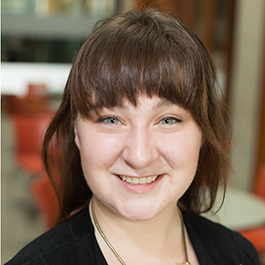 Abby is especially excited to integrate her software background with physical product development to become a more versatile engineer.